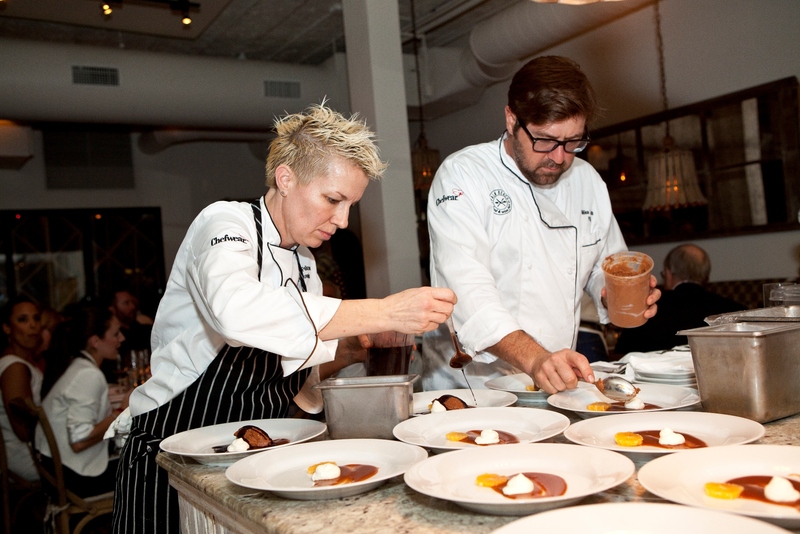 The Palm Beach Food & Wine Festival is excited to announce a program of new events, returning classics and superstar talent within the iconic locations and intimate settings of Palm Beach, FL, December 13-17, 2013. Benefiting multiple charitable organizations through Chefs Dish BackTM, the Palm Beach Food & Wine Festival is proud to launch the largest charity event of the season. “This year's program once again offers world-class talent and events within the intimate atmosphere of Palm Beach, ideal for both the festival attendees and the visiting chefs alike,” said festival organizer David Sabin. The team behind the 7th annual Palm Beach Food & Wine Festival is proud to debut a lineup of new events and returning classics that guests are sure to savor. The festival, already considered a distinguished, staple event on Palm Beach’s annual social roster, will take place throughout Palm Beach County, December 13-17, 2013. Net proceeds from Palm Beach Food & Wine Festival 2013 will benefit multiple charitable organizations. “The 2013 program offers world-class talent and events within the intimate atmosphere of Palm Beach, exciting for wine and food enthusiasts of the area and visiting guests alike. To be even more encompassing, this year we are also offering a new kids’ series and late night soirées, in addition to the return of our signature events,” said festival organizer David Sabin. The festival kicks off on Friday, December 13, with a fun-filled day at Four Seasons Resort Palm Beach, starting with Chef Talk, an open dialogue for hospitality trade about reality TV success between Amanda Freitag, Robert Irvine, Jeff Mauro, Johnny Iuzzini, Marc Murphy and host Marc Summers. Next up, the chefs’ athleticism will be put to the test during a beach volleyball game on the sands of the Atlantic coastline. Kicking off the evening, world-renowned culinary master Daniel Boulud, winner of multiple awards from the James Beard Foundation and recipient of the Chevalier de la Légion d’honneur from the French government, hosts the annual opening reception, Daniel & Friends, at his eponymous café in Palm Beach. The evening will feature passed hors d’oeuvres, small plates, inventive cocktails and more prepared by Boulud and his team at Café Boulud. 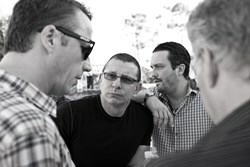 Amy Freitag, Robert Irvine, Elizabeth Falkner, Jeff Mauro, Dean Max, Darryl Moiles and Marc Murphy are on-hand for the afternoon pool party Chillin' & Grillin' at Four Seasons Resort Palm Beach, with host Ted Allen. Save room for pastry chef Johnny Iuzzini’s grilled dessert. Sultry, southern fare comes to The Breakers Palm Beach with An Evening in the Garden of Good and Evil, hosted by Marc Summers and the resort’s Executive Chef of Banquets Jeff Simms and Master Sommelier Virginia Philip. After a lavish lineup of festivities, spend a lazy and delicious, al fresco afternoon of recovery with Lindsay Autry, Timon Balloo, Michael Ferraro, Darryl Moiles, Marc Murphy, Clayton Miller, James and Julie Petrakis, Daniel Serfer, Stephen Stryjewski and Marc Vetri. 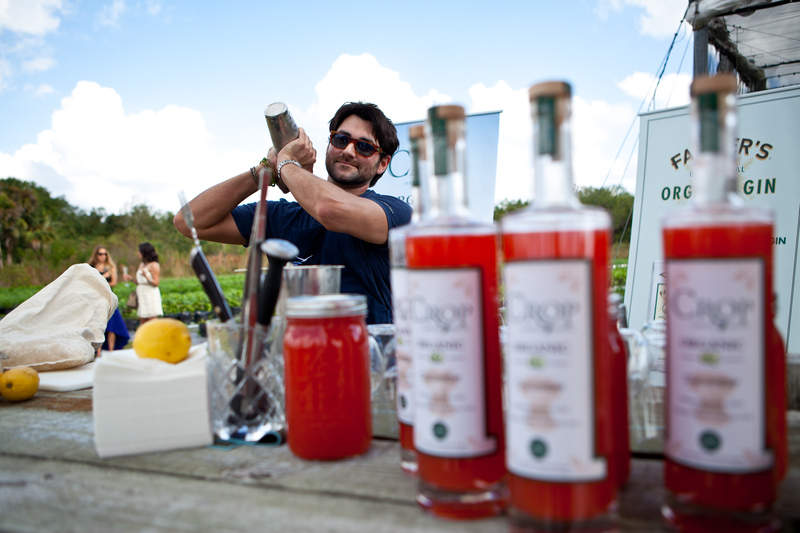 The chefs are creating a true, farm-to-table afternoon during Southern Comfort: A Hair of the Dog Experience at Swank Specialty Produce, a hydro-natural farm in Loxahatchee. Chef Mike Lata knows the true meaning of fresh seafood. Inspired by his South Carolina restaurant, The Ordinary, Lata brings Sustain by The Ordinary —a pop-up concept—to life, with the help of PB Catch’s Aaron Black. Powerhouse chefs Todd English and David Burke, along with pastry chef Joanne Chang, join chef/owner Clay Conley for The Last Supper at buccan, the final evening event before the Grand Tasting. The festival concludes with the 7th Annual Grand Tasting at 150 WORTH. This food fiesta highlights nearly 100 chefs, restaurants, mixologists, sommeliers, vendors, vintners and more, culminating with the Grand Chef Throwdown competition featuring last year’s winner Eric Grutka. The festival is also bringing new events targeted toward guests of all ages. Two Kids Kitchens will have chefs Robert Irvine and Christina Tosi each lead a 90-minute cooking demonstration and class. Each child will have his or her own station; one parent may accompany. The 2013 festival will also feature two elite, late-night soirées. Johnny Iuzzini, Christina Tosi and Jennifer Reed host Cloud 9 —the festival’s first official after-party—amid a room full of their single-bite desserts, and Darryl Moiles joins with first tastes from Four Seasons Resort Palm Beach’s new signature restaurant. Then the following evening, Michael Schwartz, Hedy Goldsmith and Roel Alcudia bring the fun with Cypress Room High Tea. Both the kids and late-night events will be held at Four Seasons Resort Palm Beach. Renowned French pastry chef François Payard will host Lunch with Payard at West Palm Beach’s authentic French eatery Pistache French Bistro alongside Pistache’s Isaac Cerny. Kevin Sbraga and Mike Isabella head to Coolinary Café in Palm Beach Gardens for Real Food Revolution to join chef/owner Tim Lipman for a private event. Through Chefs Dish Back™, net proceeds will be donated in the name of each of the participating celebrity chefs to this year’s five following charities, each advocating and working in support of a different, critical mission: American Red Cross, Palm Beaches – Treasure Coast Region, Feeding South Florida, James Beard Foundation, Share Our Strength, and Alex’s Lemonade Stand. Through its partnership with the James Beard Foundation, the festival is funding a scholarship for a local student recipient, to be chosen by the JBF committee. The festival is also working with the Palm Beach County Food Bank to rescue food from the events, and is featuring a donation cart for funds to be donated directly to the Food Bank. Tickets and event details for the Palm Beach Food & Wine Festival 2013 are available at http://www.pbfoodwinefest.com or by calling (855) 428-7849. For daily updates, follow us on Twitter and Instagram @pbfoodwinefest and friend us at http://www.facebook.com/pbfoodwinefest. To book a special festival room rate of $299 (based on availability) at official host hotel Four Seasons Resort Palm Beach, please mention the festival at (800) 432‐2335 or reservations.pbf(at)fourseasons(dot)com. For sponsorship inquiries, please contact sponsorship(at)pbfoodwinefest(dot)com. 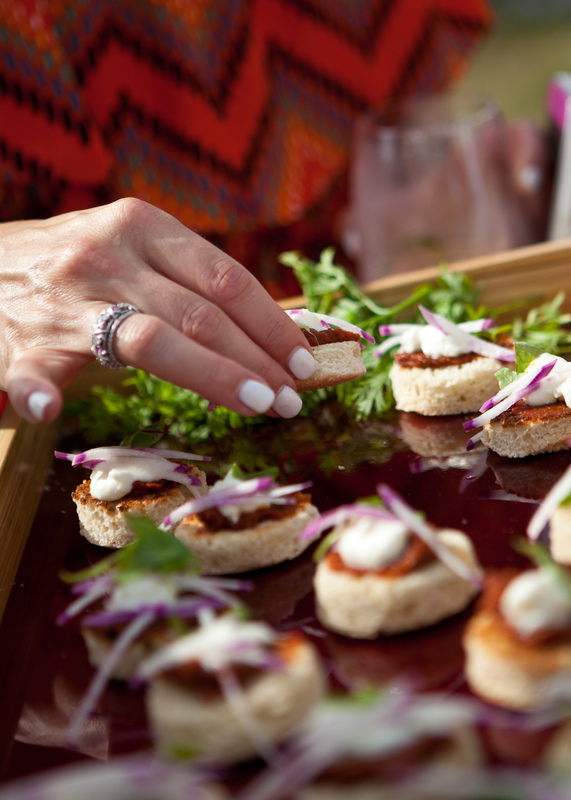 The Palm Beach Food & Wine Festival is produced by Brickhouse Public Relations with support from community partners Panache: A Classic Party Rentals Company, Palm Beach Convention and Visitors Bureau and Premier Beverage. Now in its seventh year, the Palm Beach Food & Wine Festival is a series of food events that highlight the best of the Palm Beaches and offers a unique culinary experience for both residents and visitors.